A few months ago I was lucky enough to have the chance to review one of The Miracle Boxes changing bags. I now have their accessories, the Buggy Hooks and the Buggy Clips to review. 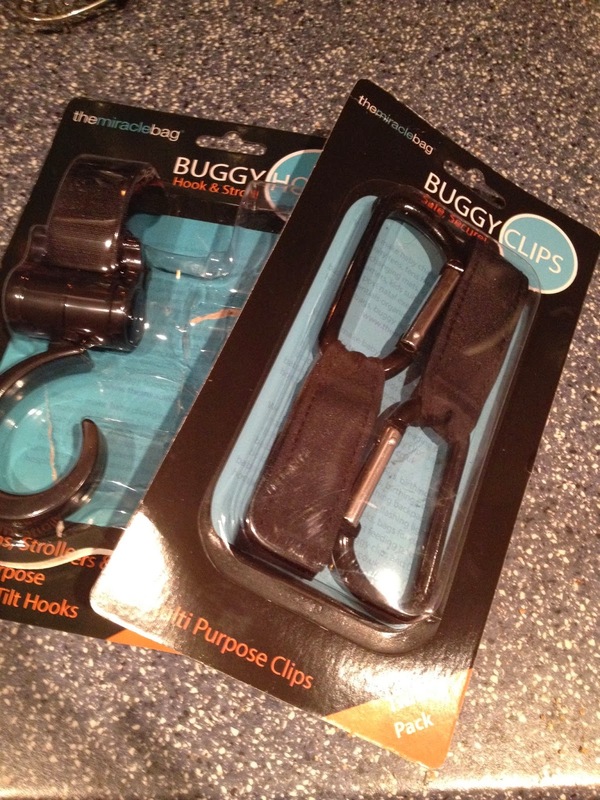 Both the hooks and the clips are priced at £5.99 and each of them come in a pack of two. The idea is that you can use these to hang things like shopping bags, changing bags etc. Each one has an extra strong adjustable velcro strap which can be secured to most prams, pushchairs and strollers. 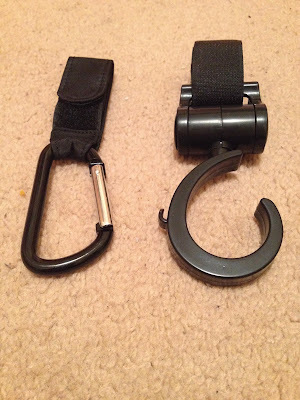 Both the clips and the hooks can hold up to 2.5kg of weight. I actually found that even though the clips and the hooks essentially do the same job, they worked better at holding different items. The clips were much better at holding handbags and changing bags. I think in most part because the clips close securely, other people are unable to just take things off of them, making them a great way to stop any theft of your bag. It was also better at holding wider strapped items as they had no way of slipping out of the clip. The hooks really came in handy for things like the kids lunch boxes and school bags. The hooks actually rotate a full 360 degrees, making it simple to place more than one bag on each hook because you could angle the bags not to stick or get in the way of you walking. I wouldn't hesistate in recommending both the hooks and clips. Adding and removing items of either accessory is quick and easy to do and they make a great accessory for any parent who is always out and about and on the go all of the time. 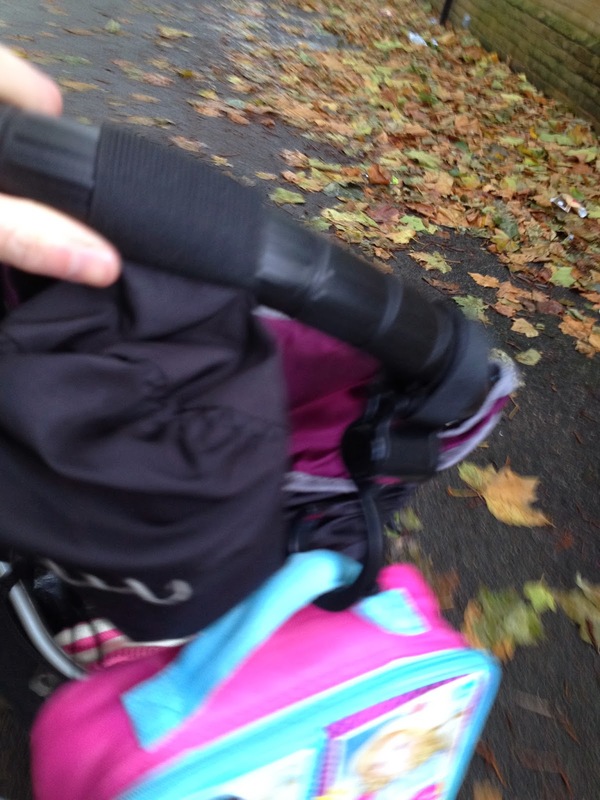 The velcro really is nice and strong, it never cam undone and it stayed in place nicely on my strollers handle. It means that if you run out of space in your pushchairs basket, you can still keep your hands free for pushing the pushchair, holding your child's hand etc. Just a little helping hand to aid in all the multi-tasking us parents are always having to do. I second the buggy board!